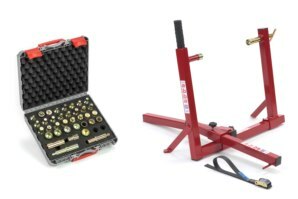 This package combines the three main items needed for all MOT Stations, Workshops and tyre fitters as well as any motorcycle enthusiasts. 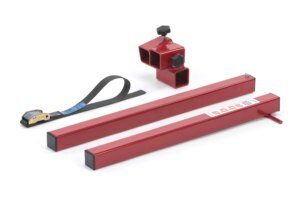 This kit allows the user to fit the abba superbike stand to over 350+ different models of motorcycle by simply changing the "fitting ends" supplied in the technicians kit. 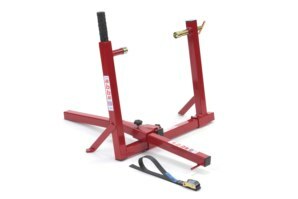 Because this kit allows the front and rear suspension to hang free as well as a many other advantages this is the only product on the market that allows a full, safe & complete MOT to be carried out on a motorcycle. This package is used in most of the UK's largest tyre fitting chains, by many police forces around the country as well as hundreds of MOT stations and motorcycle workshops. NEW - Upgraded for 2016. The Technicians kit now has 36 separate fittings to adapt the Superbike Stand to fit over 350+ models of motorcycle. Fits motorbikes from the early 1980's through to brand new current models! These products usually retail at £289.90 if bought separately. So you save £10.00 with this package. NOTE: The Technicians Kit does NOT include the Swing Arm Removal Kit. Safe, quick and simple operation. Extremely stable, perfect for when leverage is needed to loosen and tighten wheel spindles etc. No Modification needed to the motorcycle. Can be fitted to conventional twin and single sided swing arm models. 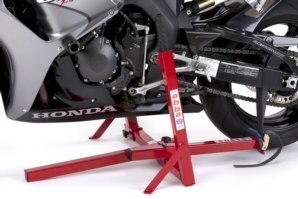 Allows a FULL MOT to be carried out on a motorcycle. Can be used on over 250 models of motorcycle. 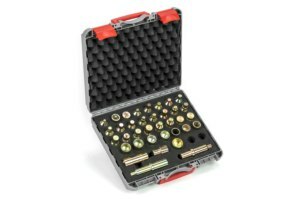 Fittings can be changed on the stand in seconds. 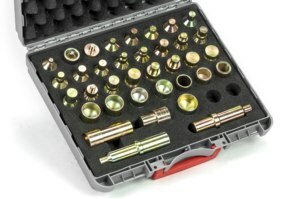 The Technicians kit now has 36 separate fittings to adapt the Superbike Stand to fit over 350+ models of motorcycle. Fits motorbikes from the early 1980's through to brand new current models! Video showing full details of the abba Superbike Stand. Being fitted to Yamaha R1. Best tool in the workshop and wouldn’t use anything else! Is it easy to convert the stand from one bike to the next? 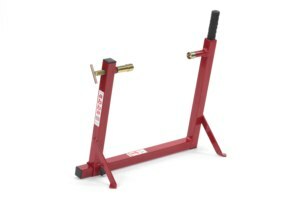 Can I use the stand on top of my existing work bench? Got a Question about the abba Pro Workshop Package? If you would like to ask us a question about the abba Pro Workshop Package, simply fill in the form below and we will contact you within two working days. Want to tell a friend about the abba Pro Workshop Package? 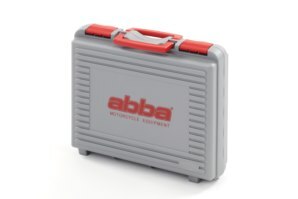 Alternatively fill in the form below and we will send an email on your behalf to your friend, with a link to this page all about the abba Pro Workshop Package.